Half of the Croydonist team adores Christmas, the other half has mixed feelings on the season. But what they can agree on is their love of Christmas lights. 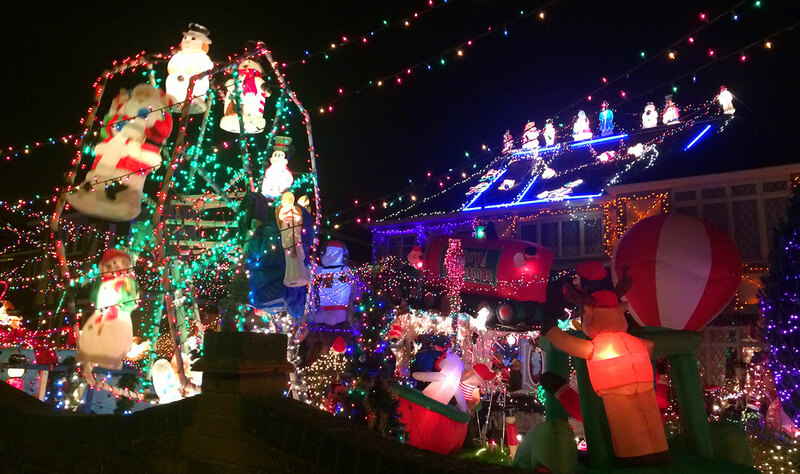 After driving past this very festive Bromley house for the past couple of Christmases we would like to find our favourite (and that means the most fantastically festive) Christmas lights on our home turf. Fancy taking part? 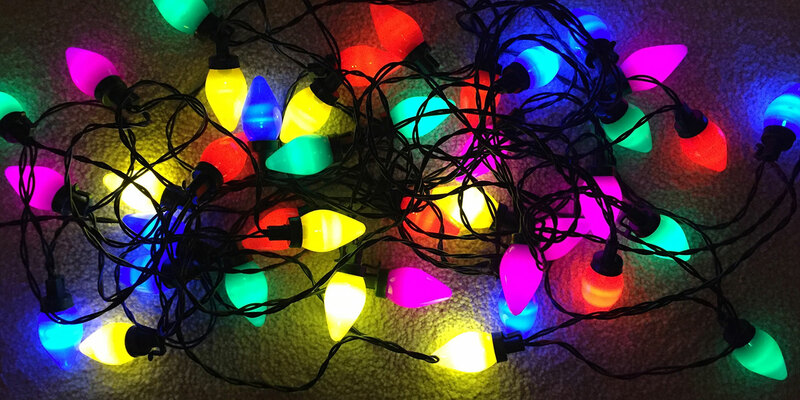 If so, we’d like you, our lovely readers, to send us your photos of your own Croydon Christmas lights. We’re talking outdoor lights, so this could be your own home or your business. And of course it needs to be in Croydon. Also if your friends, neighbours or colleagues have fantastically festive Christmas lights, please spread the word, and get them to enter too. Send your photos to our email address (info@croydonist.co.uk) or as a direct message on our Twitter or Instagram. (It probably goes without saying, but only post it publicly on social media if you have permission from the property owner). The last date to submit pictures is Thursday 15th December. That’s because we will then visit our favourite entries to take some snaps ourselves, and perhaps have a chat (and a mince pie) with the owners or tenants. We’ll announce our winner on the tuesday before Christmas (20th December). We have some exciting prizes up for grabs, details of which we will be revealing shortly. We’ll update you on progress in the coming weeks using the hashtag #LightsCameraChristmas on Twitter and Instagram, if you’re feeling social. Remember Croydon, we can (and will) outshine Bromley! The competition is free to enter. Entries must be received no later than midnight on the 15th December 2016 and must be accompanied by a colour photo submitted digitally. Competition entrants must reside in the borough of Croydon with the property entered being located in the borough of Croydon. Submissions must be of your own home or business, or with written permission of the property or business owner to enter. Entries must be of Christmas lights and decorations of the exterior of a house or building that is current and not of a previous year. The winner will be selected by the Croydonist. The Croydonist’s decision is final and will be announced on the 20th December 2016. Competition prizes will be announced during the competition period and entrants enter with the knowledge that prizes are not finalised until a later date. Prize value will be a minimum of £50 and will not be exchangeable.